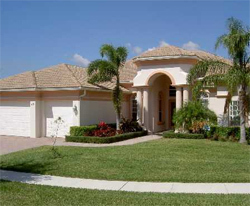 Mystic Cove is a small-gated community of single-family homes located in the heart of Jupiter. Mystic Cove is comprised of Mediterranean style homes constructed of solid CBS built in the early 2000’s, with living square footages ranging from 2,600 s.f. to 5,800 s.f. Each home is situated on approximately 1/4 an acre of land, and many of the homes include a private back yard pools. The community features a play area, bike and jogging trails along with open green spaces. Prices typically start in the $600,000 range. Mystic Cove homes are only minutes away from the waters of the Intracoastal, for those that like to boat and fish, as well as the beach. It is within the superior Jupiter school system and near shopping, entertainment, dining, recreation, and quick access to I-95 and the Florida Turnpike. If you have any questions or are looking to buy or sell a home in Mystic Cove, please give Preferred Residential Properties a call at (561) 747-8987.